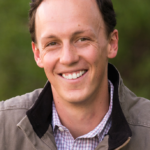 Democratic state Rep. Dylan Roberts this week saw two of his health care bills pass critical committee tests, including a bill to create a public health care option that will hopefully increase insurance competition and lower sky-high prices in places like Eagle County. Also this week, Gov. Jared Polis announced the creation by executive order of his new Office of Saving People Money on Health Care, which he hopes will come up with creative solutions to bringing down runaway health care costs by making recommendations to the State Legislature. DENVER — Gov. Jared Polis today signed an executive order establishing the Office of Saving People Money on Health Care, led by Lt. Governor Dianne Primavera. The goal of the Office is to study, identify and implement policies that will lower health care costs while ensuring all Coloradans have access to affordable, quality care. Increasing hospital price transparency and establishing programs to reduce prescription drug prices. Improve health in Colorado by developing, promoting, and implementing policies and strategies that reduce the costs of health care by promoting public health and addressing social determinants of health. “We are glad to see Governor Polis make health care one of his top priorities and we are ready to pass legislation this session to start saving Coloradans money on their health care as soon as possible. After watching our legislation to lower health care costs die on a party-line vote in recent years, we are looking forward to bringing our cutting edge solutions to save people money on health care to Governor Polis’ desk for him to sign into law and make sure that this new office can begin its mission with legislative success.